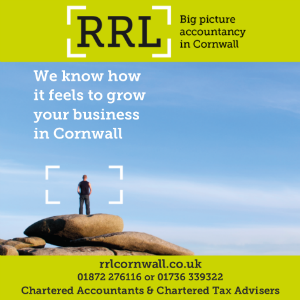 Business Cornwall | News and Information for Businesses in CornwallBusiness Cornwall – Bringing you the latest Cornish business news, views and opinion. References are often an area of confusion and concern for employers. Melanie Rowe, senior associate at Truro law firm, Murrell Associates, has some words of advice. A National Trust garden is opening private parkland to fun runners of all ages in a bid to raise money for charity. ITEC has completed a full audit of Cornwall Air Ambulance’s IT infrastructure. ABG Design has completed the signage design for the Quadram Institute. Cornish Olympian Annie Vernon has brought out a new book exploring what it is in our psyche that makes us push ourselves to the limit. Penzance-based graphic design and illustration studio Whittle Design Studio has completed the new branding for Stacey Mann Estates.